As part of annual Archives Month activities, the California State Archives will be holding a free one-day Preservation Workshop on Tuesday, October 16, 2018, from 9:00 AM – 4:30 PM. 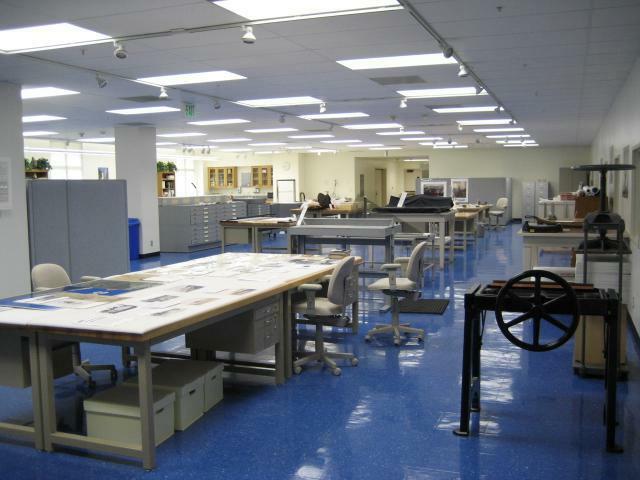 The workshop will be held in Sacramento at the California State Archives’ modern 5,000 square foot preservation lab that is used to preserve the Archives’ holdings as well as prepare material for exhibition. This workshop will teach some basic preservation techniques for repairing paper-based materials. Topics to be covered include surface cleaning, mending, and flattening methods suitable for small institutions. The workshop will be open to twelve individuals who are on staff or volunteer at archives, libraries, museums, historical societies, or related institutions and are in need of basic preservation and conservation training. Space is limited, so not all who apply may be admitted to the workshop. Applications for the 2018 workshop are now available! Applications will be accepted from mid-June to September 5th, 2018. Applications should be fully completed and received at the State Archives no later than September 5th, 2018. Applications should be typed or clearly printed in black ink and mailed to California State Archives, 1020 "O" Street, Sacramento, CA 95814. Applications can also be submitted by email to Archives Events. Within a week of submission, applicants should receive a confirmation that their application form was received. If applicants do not receive confirmation, then they should contact Archives Events or call (916) 653-7715 to inquire. Further information about the workshop can be obtained by contacting Archives Events or by calling (916) 653-7715.